Order in the next 9 hours 32 minutes and your package will ship on Friday, April 26. 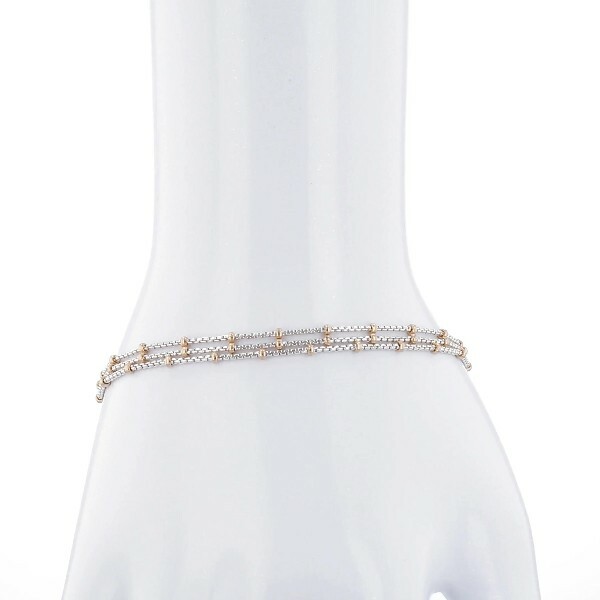 Delicate and eye catching this two-tone bracelet is crafted in sterling silver and accented with 14k yellow gold stations. The 3 strands create an elevated look that you will love layering into your wrist game.